Whiskey Kings is a brand new track we conjured up and the first “single” off of our newest “album” we’re currently in the process of destroying down here in the hood. The message is pretty clear – we’ve done our time, we’ve paid our respects, now get out the way. And to all of you monkeys out there… rise up, young blood.. The baddest bassist in the biness sent me this pic from his hotel room on the east coast. Looks cold! Meanwhile we’re enjoyin a little san diego sunshineee!! Gotta love california! Bright and early on Sunday morning and we’re back to work at Studio West in San Diego. Stay tuned for the newest tracks, “Blame Me” and “Closing Argument” later on this week! We’ll see you in Long Beach! 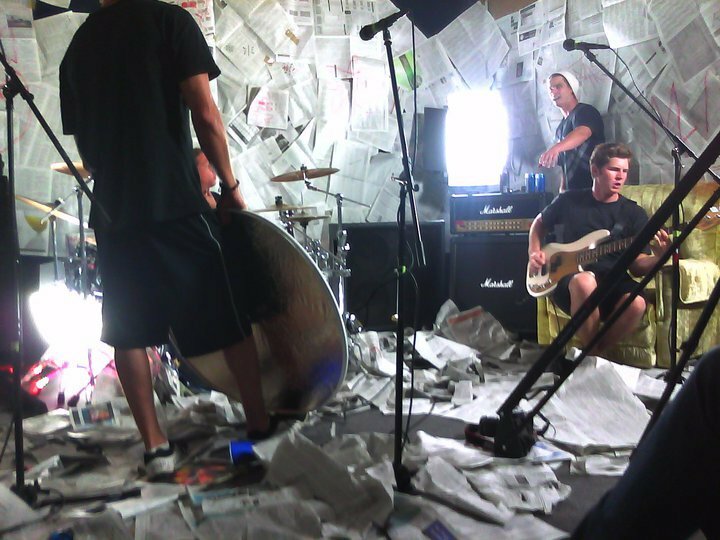 Alright punkers, heres a brand new video teaser of our single Self-Addressed. Directed by brother/friend Michael Vara- this one is guaranteed to melt some faces! Expect the full music video to be posted very soon! We are stoked to have killer friends that stuck it out til 3am with us on the first night of shooting, thanks guys we really turned that party out and we got some great footage! Hope to see you all at 4th & B Friday August 27th!